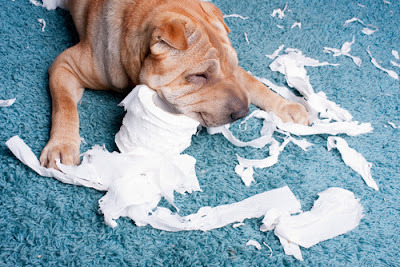 Singapore Carpet Cleaning: How to Keep Carpet Clean With Pets Around? How to Keep Carpet Clean With Pets Around? A majority of the houses in Singapore have their floors covered using carpets. This is because they make the environment inside the house friendly, warm and healthier. The carpets usually get dirty at times and hence need to be cleaned in a regular manner. However, in homes that have pets or small children, the carpets usually get dirty quickly. They therefore need to be cleaned more often as compared to the homes that do not have any pet. Carpet owners who also double up as pet owners usually have a challenge in maintaining their carpets clean. They have to put with challenges such as stains, stubborn odor of pet urine as well as strands of hair from their dogs. What actions should you take to maintain the cleanliness of your carpeted home when you have a pet around? Below are some useful preventive steps that will ensure that the homes do not get dirty as quickly as they do normally. You can prevent the spread of dirt from outside to the inside of the house by ensuring that you always have a clean towel by the door to wipe the paws of your pets. This towel should be used to dry their paws in order to wipe off any dirt they could have collected outside there before they re-enter the house. This will ensure that none of it ends up inside your home. Most of the animals kept in the houses will find this experience annoying and will try all manner of tricks to evade it but you have to be firm. 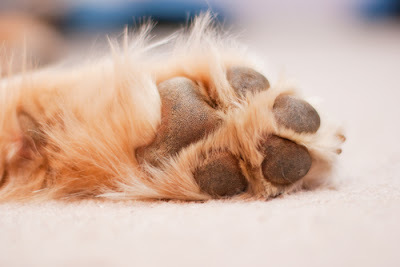 This will ensure that your carpet will be free from any stains that could be caused by the dirt particles or mud they could be carrying on their paws. Ultimately your pet dog will learn that they are not supposed to get into the house without having their paws wiped. You will find them waiting for you to wipe the dirt off first before they re-enter the house. This is one of the easiest carpet cleaning solutions for people who keep pets in their homes. This spray is usually used on the area where the dog or cat had an accident earlier after first of all removing all the excess moisture and debris from the area. The spray should then be sprayed over this area and then the area should be wiped clean. Pet entryways and doorways ought to be made with floor tiles as it will act as a good barrier to prevent anything they collect from the outdoors from getting indoors. This idea of having tiles in between the rooms of the house gives the animals room to shake off any mud, dirt or grass they could have come into contact with while outside in order to avoid stains getting to your home carpets. Cleaning a floor tile takes minimal effort when compared to taking your carpet out there for cleaning. Investing in a great are rug or runners to be placed on top of the carpets in the house can transform any home to become pet-friendly. This would ensure that the carpets are protected from the pet urine whenever urination occurs. In case of any accident by the pets, these smaller rugs are easily cleaned as they can be tossed into washing machines and get them back in their spots within no time. Carpets require to be vacuumed on a regular basis on a normal basis and in case one has pets then it would be important for the carpets to be vacuumed more regularly. This would result in the prevention of dust and dirt from accumulating on the carpets and thereby prolong their lifespan. Regular vacuuming ensures that any amount of dirt that lands inside the house does not get time to settle on the carpet fibers. This may lead to it becoming an air pollutant which would cause a health risk to the house inhabitants. It would be important to ensure that each pet in the house is cleaned regularly to ensure that they remain clean every day. They are very much like human beings in that their bodies perspire and also get dirty more so when they go outside and take part in any outdoor activity. During their bath time ensure that you thoroughly wash their feet to ensure that they will be clean when they enter the house and lie on the carpets. Just like young children need to be toilet trained to help them avoid urinating on themselves, pets also need to be toilet trained. This will be necessary as it will prevent them from urinating on every corner of the house. Pet animals like dogs always mark their territory by urinating on some particular spots. If they are not trained that they can only relieve themselves outside they will end up marking their “territories” in several spots inside the house. This would stain the carpets in these rooms. 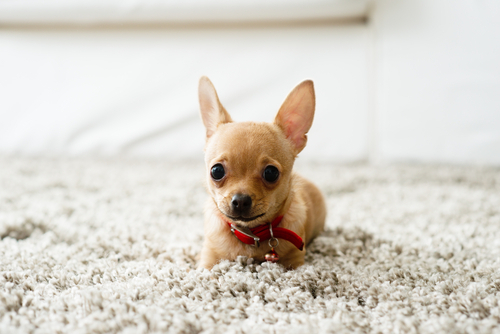 Whenever your pet accidentally soils or urinates on the carpet, you should ensure that these accidents or spillages are attended to immediately in order to prevent stains forming. Mild detergents ought to be used when removing such stains in order to protect the fibers from the harsh chemicals found in stronger detergents. After the cleaning is done ensure that you add some baking soda over these spots that are damp for it to dry the spot and also absorb the odor that may result from the stains. You can get help from one of the various professional carpet cleaning services companies found in Singapore in tackling your smelly and dirty carpets caused by pets. In case your attempts at cleaning your carpets at home fail or the stains are more than you can handle it is advisable to seek professionals to clean and treat your carpets. Seeking their services helps in extending the lifespan of your carpets.